Activating sustainability concept in practices is a critical issue that achieves sustainable development of the whole cities. The sustainable city is a rather recent concept, which has managed to gain increasing attention over the last decades, both through the international community and through grass root movements. 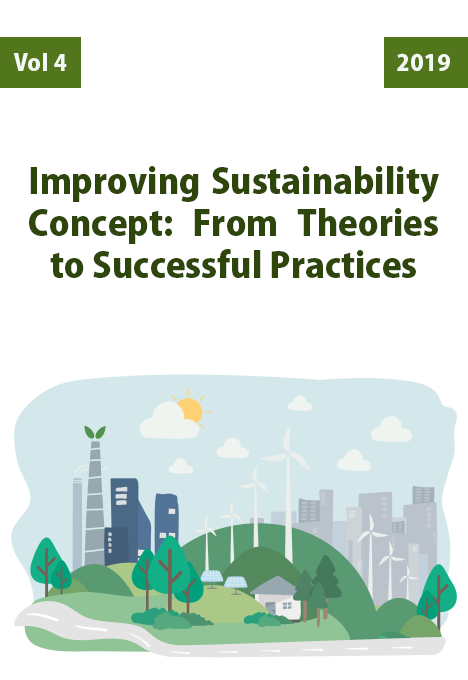 This special issue on Improving Sustainability Concept: From Theories to Successful Practices aims to explore how the sustainable city can be translated from theory to practice. Upon discussing the topic of urban planning, participants take a close look at the matter of living in an eco-city, as the concept regards the integration of land-use and transportation systems which is a solution to improve the efficiency of cities. Paying close attention to this issue allows for a balance between land-use and the environment, accordingly, the spread of land can continue but not on the expense of greenhouse gas emissions. It is believed that this balance could be achieved by adopting a long-term political engagement plan as retrieved from the experience of the cities who implemented customized strategic plans. The conflicting interest of growth is found to be an obstacle when it comes to applying radial strategies. Subsequently, governments avoid adopting these concepts and would rather think of them as a constant process. Sustainability and Energy Performance in the Real Estate Market.